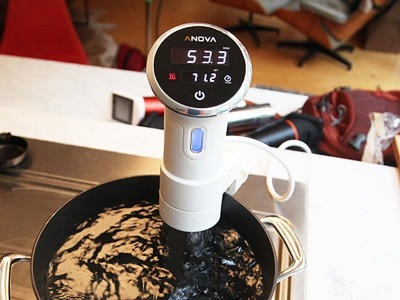 The folks over at Serious Eats announced a new Anova sous-vide solution yesterday. I always wanted to have one so here was my chance to get one at good price. The funding is via a Kickstarter project and there are still some slots available to back this project for $145 and more. This entry was posted in Recipes, Reviews and tagged Recipes, Reviews. Bookmark the permalink.